When you are a photographer on that amazing road trip or a webdesigner piled with work on a weekend, you need tools that can help you get the best out of your images fast and anywhere. The solution for some time now, or even an alternative for traditional software to some designers, have been the online image editors. 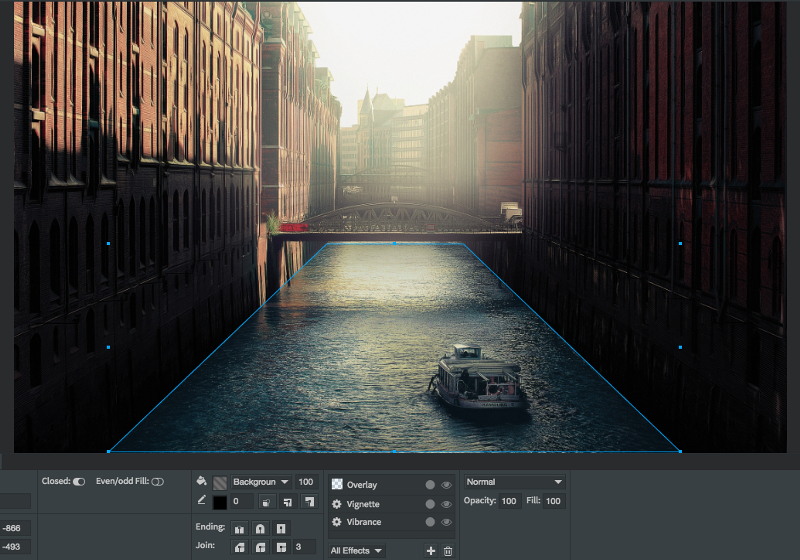 Today we have asked the team of a friendly online design tool Gravit to give us a few tips on being the most productive with online photo editing. “Gravit is a design platform that operates directly in the browser and let you edit all your pictures quickly everywhere, anytime and on any device”. The following situation might seem familiar to you: You just quickly want to edit a picture that you made or licensed via a platform like Lobster from another photographer, and suddenly it takes so many steps and time for you: to retrieve images from your the storage place like Lobster gallery, your Flickr account, Google Drive or Picasa, to download them to your computer and open them with a photo editing software. An online editor like Gravit helps you doing this much faster/ With its projects feature, anyone can work with images at ease. 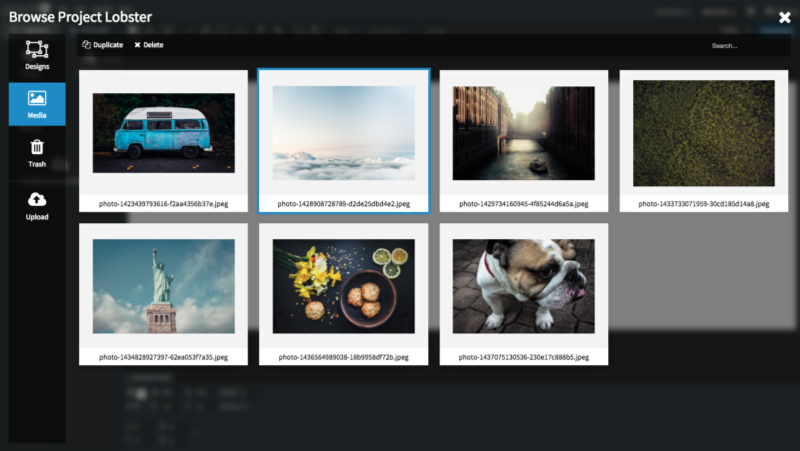 You can manage your photos, edit them in Gravit Designer, share them with your customers or team, duplicate or delete them when you don’t need them anymore. Do you have to look up the size for the different Social Media post pictures, profile pictures or covers, when you resize your picture? 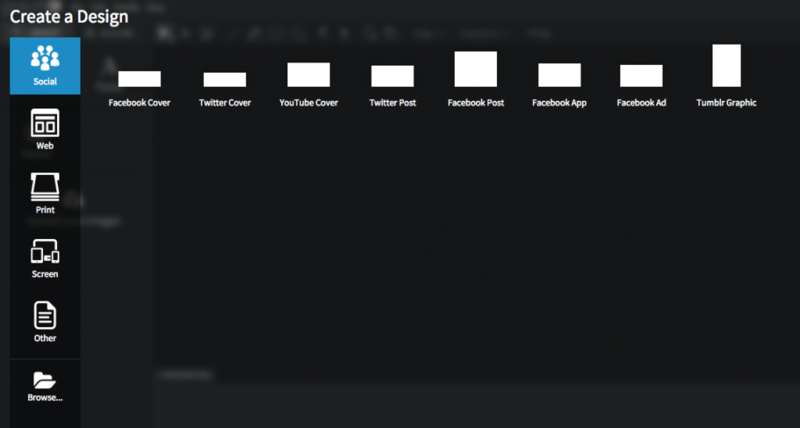 Gravit, for example, offers a bundle of preset design sizes to help you always choosing the right size for you Social Media designs. There’s always a layout that meets the specific need. Forget destructive editing on your photo: you are much better with Background Fill. You can add interesting effects on your photo without losing the original touch. The above picture is underexposed. After adding the Background Fill effect on a vector shape, the details and use of color toning at the river is purposely brought to attention. With a normal Photo editor, you would normally have to undo every time you resize a photo before you do the next resize to keep the image quality. In Gravit, it always remembers the original photo resolution in the memory. You can do as many scaling to your photos without losing the image quality. Isn’t that great ? Modern browsers support webGL effects nowadays. You can use many useful photo filters such as vibrance, hue and saturation, or unsharp mask to enhance your photo and make it stand out even more. In the example above, a Brightness / Contrast filter is added to bring out the color details in the fur and texture of the dog and also tone down the underexposure issue. Working with colors to bring out the photos can be a delicate process that needs to see in context the audience and project (or website) you want to modify. In Gravit, this is make simpler by generating the colors from the photo as color palettes. 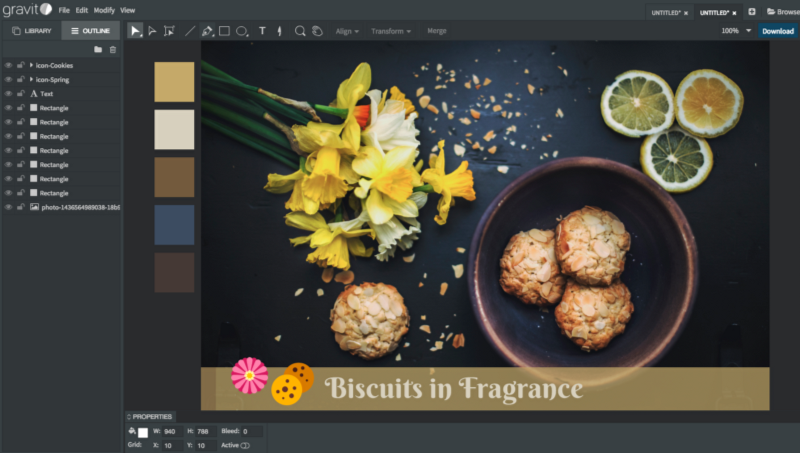 It automatically extracts the main colors of the image in a palette and you can easily use them in different contexts and use them for editing the picture, add symbols, fonts or create new designs with it. 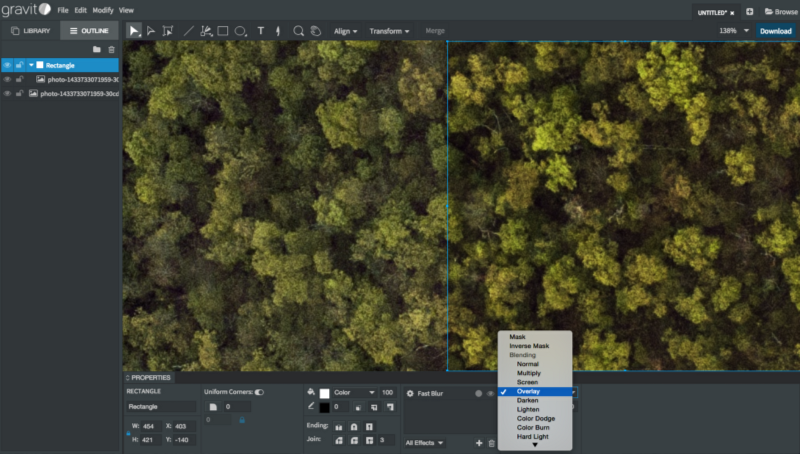 If you have been using photo editing software before, you will find working with the Layers panel and blending modes somewhat familiar in Gravit. For example, in the above photo, you can duplicate it and change its blending mode to Overlay to enhance the contrast of the photo. With these 7 tips you can easily edit your pictures and make them stand out the crowd. 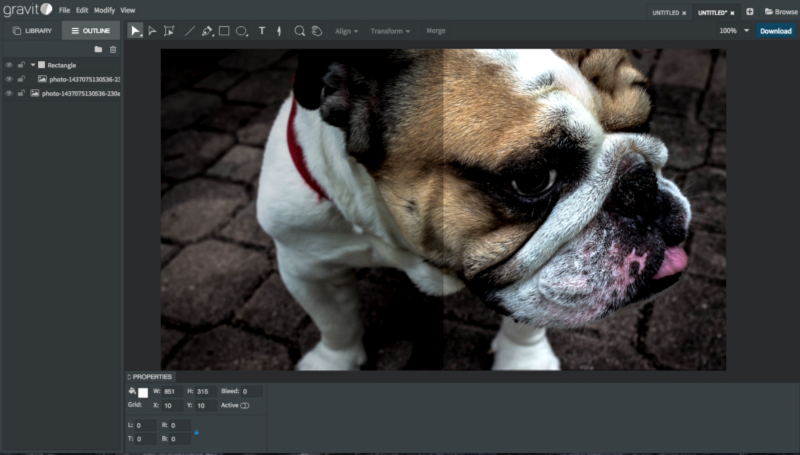 Gravit is a free tool for editing your photos or doing fast design work online. Everyone signing up through this link will also get a subscription for 5 free photos per month, chosen by Lobster editorial team and handcrafted by our social media users.